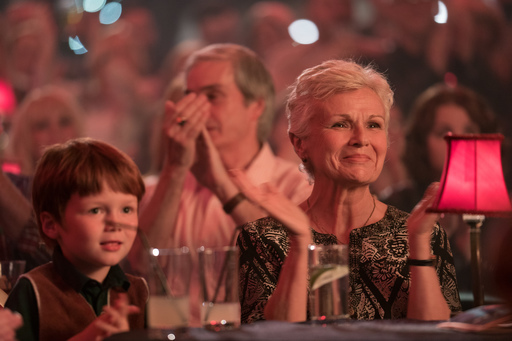 She shouldn’t have been, as later that night at its Glasgow Film Festival screening, Wild Rose goes down a storm, and it’s easy to see why. Buckley stars as Rose-Lynn, a rambunctious ex-con with dreams of being a country singer in Nashville, but there are plenty of obstacles in her way. She lives in Priesthill for one. For another, she has two young kids, whom her mother has been looking after while she was in prison. And there’s the small matter that the conditions of her release are that she wears an ankle monitor and is under curfew, so she can’t go back to work as the house singer at the Grand Ole Opry, Glasgow’s heart of country music. She’s abrasive and can act selfishly, especially where her kids are concerned, but she's also funny and gallus and genuinely talented. It's hard not to root for her. Did you, we ask. “You tell me?” We reckon no one would have batted an eyelid. When we ask Buckley if there was a favourite local phrase she picked up, she doesn’t hesitate for a second: “Bawbag,” she says before doubling over. That answer might just make her an honorary Glaswegian.